Nvidia held an earnings call last night. As you can imagine, its leadership and investors had a lot to be happy about. However, amid the rave revenues of $1.8 billion in Gaming alone, Nvidia CEO Jen-Hsun Huang admitted that crypto revenue, last quarter, was overestimated to the tune of $100 million when it ended up generating just $18 million in revenues. A red flag, by any other name. This was was actually a miscalculation on Nvidia's side, which left it holding onto a number of 10-series GPUs that it had hoped to sell to crypto miners ($86 million's worth, apparently). It has since been discretely re-injecting these into the channel through partners and OEMs at discounted prices or with added trimmings, as was the case of the SSD giveaway with the GTX 1060 and GTX 1050 models, in hopes of emptying warehouses before we get to the holiday season, by which time the midrange versions of Nvidia's upcoming consumer graphics cards will hit the market. 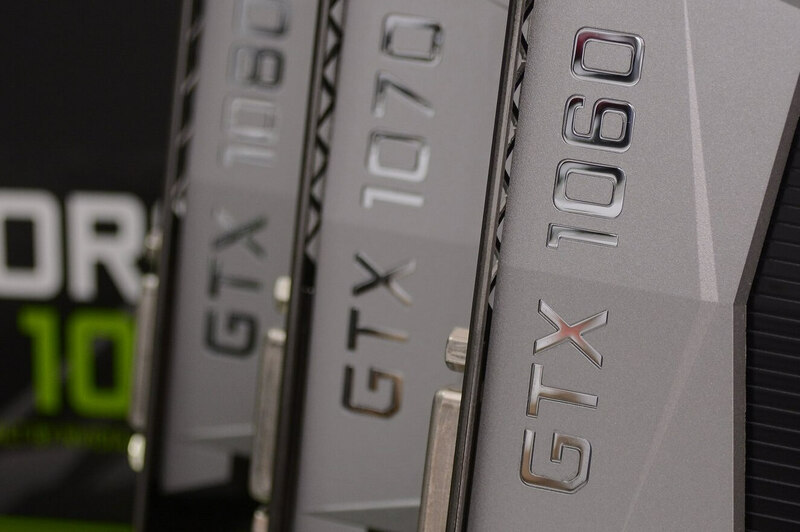 The unsuccessful crypto run did prompt a decisive reaction from Jen-Hsun Huang, stating Nvidia "expect a negligible contribution going forward", effectively writing off any further pursuits by the company in the cryptomining arena. A kind of statement that just a few months ago would've made many CEO cringe, for fear of investor backlash, but now appears like common sense and wholly justified. Unfortunately, while GPU makers raked in the profits, to most us, cryptomining was a curse which made us painfully aware of a massive supply constraint and major price hikes on both sides of the GPU aisle. Still, there is hope. With Nvidia effectively giving up on cryptomining it can focus on its eSports strategy to its fullest. In fact, eSports seemed to be the stand-in replacement subject for crypto at Nvidia. During the call the company took the time to state that eSports is going strong, with a current following of around 400 million viewers, representing an 18% growth year-on-year. To put these numbers in context, if you rated the catch-all "eSports" moniker as a single sport, that is nearing the popularity of Baseball, on a global scale. That is also the kind of thing you only mention in an earnings call if you're going to do something about it. So, goodbye GPU crypto shortage, you will not be missed. We'll be here to welcome the shiny, power drink-driven eSports future. Cryptocurrencies, my favorite fraud. How many people got rich by creating "currency", owning a huge portion of it and selling in the hype train. diman82, LemmingOverlrd and RolandDeschain like this. I’m hoping all those x miners flood the market with cheap used cards, the eSports players buy them up instead of the current overpriced GPUs and prices get back to normal levels. Would be great to see graphics card prices dropping like flash memory due to an excess of used/old cards, eSports only require a mid-range card. Roman Architect and LemmingOverlrd like this. Not anyone involved in Bitcoin. But yes there are a lot of shitcoin scams. Roman Architect, diman82 and H3llion like this. Nah, it's not eSports that matters, just give us back our "E"ntertainment, for everyone. How does nVidia make money from eSports? 400 million viewers using YouTube aren't going to line nVidia's pockets. They need to invent a new crypto currency block shortly after their new cards come out. Same way Nike and Under Armour make billions selling sports gear to people who don't play sports. Theinsanegamer, SantistaUSA, Nobina and 2 others like this. Where are all the crypto fanatics to defend it now? Yeah, but buying shoes or shirts is different than buying GPUs. Unless there are other incomes I'm not taking into account. You’d be surprised how little difference there is between the latest “Jordans” and the latest bleeding edge GPU. LemmingOverlrd and CaptainTom like this. It's not a death... It's a sleep. Yeah that used to not be the case - when I got into PC gaming you could expect to double or triple your performance if you simply bought a 1-2 year newer gpu for $400-$600. But now it's $1000 to increase your framerate by 20% lol. You might as well just buy jordans lol. You are still playing the same games! Here is my general rule on upgrading. If I'm not doubling performance for under $350 per part, I'm not upgrading. CybaGirl, Stark, Theinsanegamer and 2 others like this. Good for gamers, bad for NVDA stockholders (*I'm both). I wouldn't say overpriced the 2060 is supposedly faster than a 1070 and shy a 1080, which is a really good deal for people gaming on 1080p 144htz monitors or 1440p with entry level 4k performance, But 1 factor is the elephant in the room which is Ray Tracing and how much those numbers will look like after it's tole. If you are making 1.8 billion a year, I expect you to be involved in getting humanity into space. Besides, the last few years have had the best games either be indie games like cuphead, or less demanding games like overwatch. Even with AAA games, the graphics demand has been stagnated the last few years. the drive for big GPUs is coming from high refresh rates and higher resolutions. At 1080p60, a radeon 480 is still adequate for 60FPS on ultra. Stark and CaptainTom like this. Haha bingo man. People wonder why AMD is actually gaining marketshare on nvida the past 2 years even though their products have never been worse. The truth is that cheap 232mm^2 polaris chip is still more than enough for 1440p gaming with large textures, and it has almost always been the perfect price. Throw in Freesync and superior drivers, and it's still sadly a good card for the money.